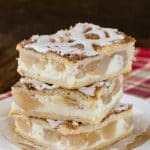 This Apple Turtle Cheesecake Tart is an easy, but impressive dessert to share with friends and family. The hidden layers of cheesecake and apple under the nuts and caramel topping will make the tart disappear in a hurry. 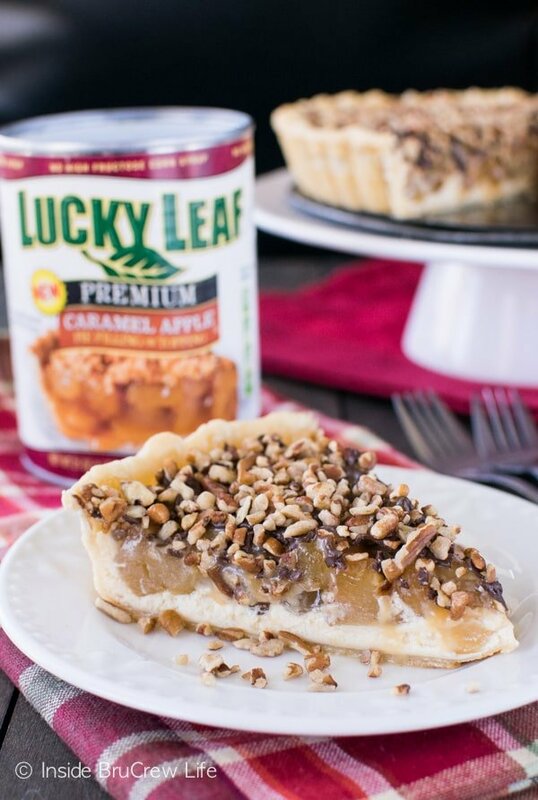 *I am partnering with Lucky Leaf® as a blog ambassador bringing you delicious recipes using their pie filling. 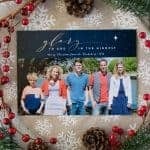 This time of year tends to get so busy as we start preparing for the holiday season. Parties, events with friends and family, dinners, decorating, and shopping all take so much of our time and energy. During this busy season it is such a great time to remember all the things we have to be thankful for in our lives. Although this is really something we need to be doing year round. I do like to stop and pause and just think through the things in our life that I am so thankful for when life seems to get crazy. We have healthy kids, a warm home to live in, and food on our table for every meal. Not to mention all the extra things we have and do each day. Be thankful for these things your life because there are so many hurting people who do not have these luxurious in their lives right now. My desire is to be open and have the opportunities to help those who come into my path with the extras I have been blessed with. Another thing I am so thankful for is a job that I can do from the comfort of my home. I’m thankful that it is a job that I can stay in my pajamas or work out clothes all day if that’s what I want to do. Sadly that does happen quite often. And I’m thankful that it is a job that is flexible with my time, so I can be there for my family any time I want. The other thing that I’m thankful for with my job is the opportunity to partner with brands and companies that I believe in. 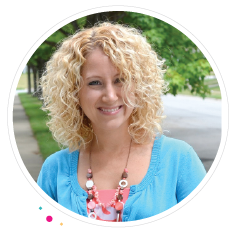 This year I am partnering with Lucky Leaf® as a blog ambassador. Each can of pie filling I open leaves me amazed. 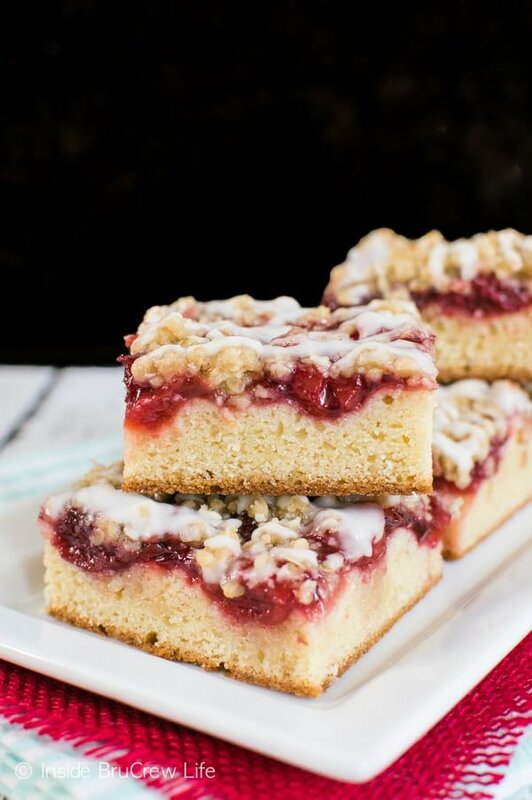 They do not use any high fructose corn syrup in their fillings, and each can is full of amazing fruit. The fillings are so versatile and can be used in a variety of ways…or eaten with a spoon if I’m being completely honest with you. Each week I’m in my kitchen baking up a storm. It’s my happy place. Most weeks those baking sessions end in amazing treats that I share with you here. But then there are those weeks were nothing goes right. Last week I had so many recipe fails that I threw away more food than I want to admit. 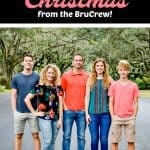 It was not a good week in the BruCrew kitchen. I have to admit that I laid down on the living room floor and had a slight pity party for myself. But then my awesome husband came home and gave me a great pep talk about getting back after it. He is definitely my sanity saver most days. I am so thankful for a husband that loves me no matter what mood I’m in. I’m also thankful that he gets this crazy job that I do. The next day he sent me a message saying I should make an upside down apple turtle cake using the canned pie filling in our cupboard. That was the exact motivation and inspiration I needed to get in the kitchen again. 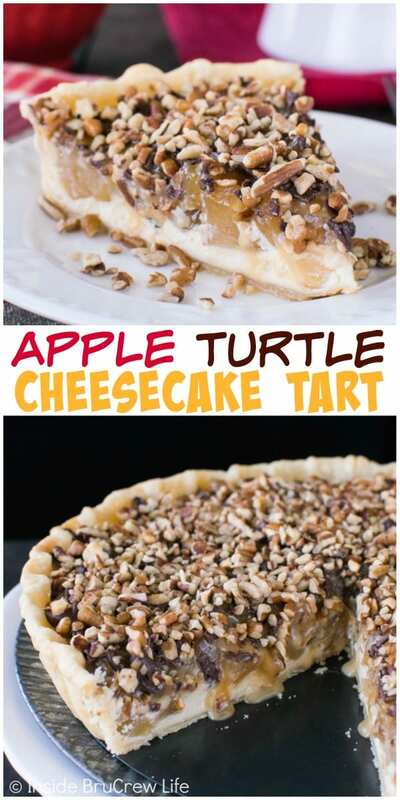 As you can see I took his flavor idea, but instead of a cake, I revamped this cheesecake apple pie into a turtle treat with my tart pan . 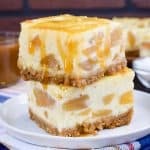 You could top the caramel cheesecake layer with the whole apples straight from the can, but I like to dice them into bite sized pieces first because it makes it easier to cut the tart later. With all the caramel, chocolate, and nuts on top you won’t see a difference in the way it bakes at all. 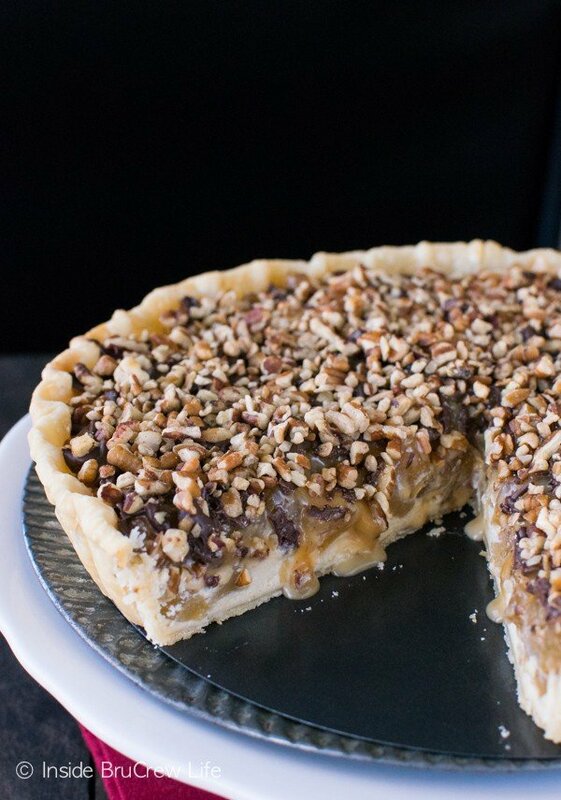 Each bite of this tart is loaded with chocolate, nuts, and caramel. 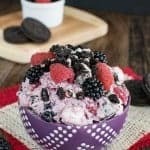 You know you want to add this fun dessert to your holiday baking list right away!!! It’s totally worth it!!! 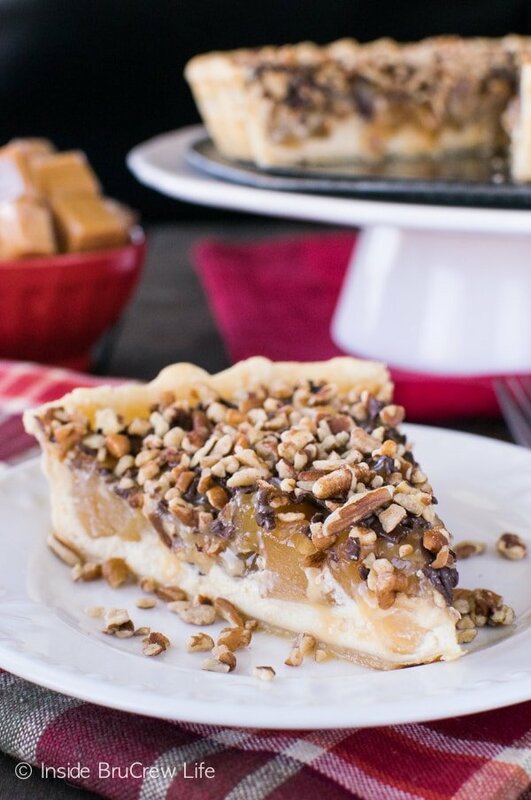 This easy apple tart has a hidden layer of caramel cheesecake and is loaded with caramel, chocolate, and nuts. 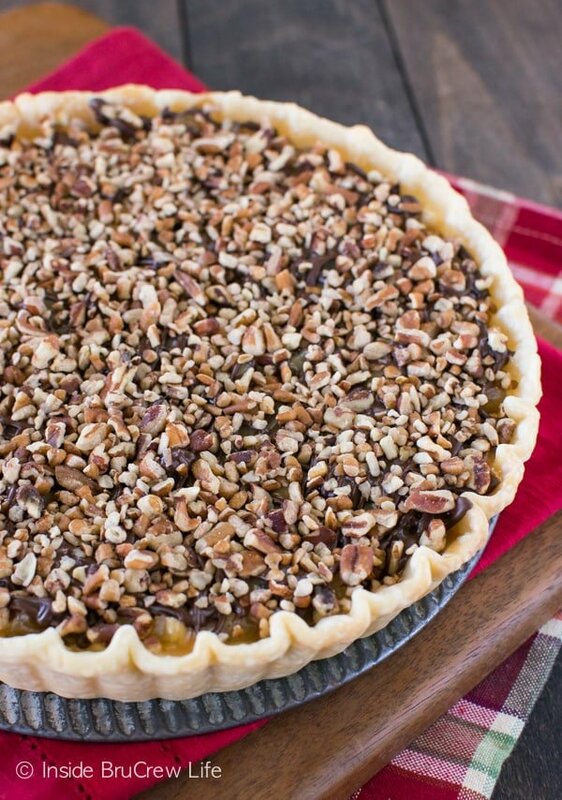 It is a delicious pie to add to your holiday tables. Open the can of pie filling and dice the apples into chunks. Set aside. Prepare the pie crust according to the package directions. Place in a 9-inch tart pan and crimp the edges. 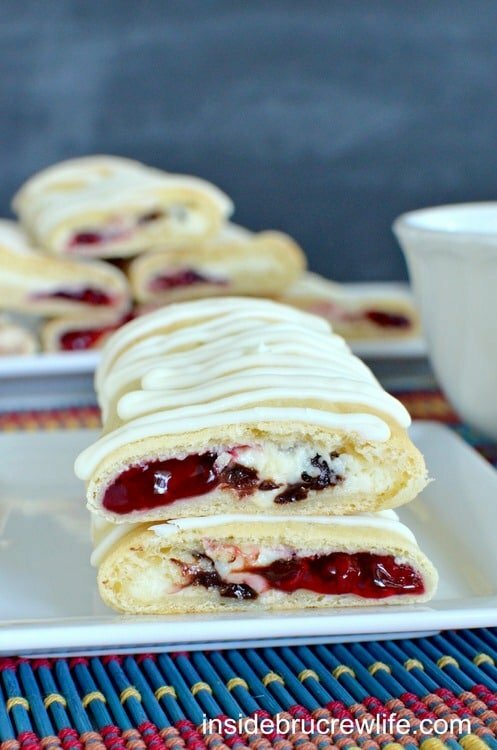 Beat the cream cheese until creamy. Add the caramel topping and beat again. Add the egg and beat until creamy. Spread in the bottom of the pie crust. Spoon the pie filling gently onto the cheesecake batter. Cover the edges of the crust with foil. Bake at 375 degrees for 40 minutes. Remove the foil and bake an additional 5 minutes. Cool on a wire rack for an hour, then place in the refrigerator until completely cooled. Place the unwrapped caramels and whipping cream in a small sauce pan. Stir over medium heat until melted and creamy. Let cool for 10 minutes, then drizzle over the top of the cooled tart. Place the chocolate chips and shortening in a microwave safe bowl. Heat 30 seconds at a time. Stir and continue to heat until melted and creamy. Drizzle over the tart. Sprinkle the pecan chips on top. Let set. Keep refrigerated until serving. Makes 8-10 servings. This is to die for Jocelyn! Oh my goodness, I can’t decide what I love first. Jocelyn, this looks amazing. So totally up my alley! This looks crazy good. I have a pantry stocked with Lucky Leaf, and now I want to make this tonight!!! I was lucky enough to get to take some of this delicious tart home that Jocelyn made, and have already copied the recipe to make over the holidays for family. Soooo decadent. I’m thankful for my job too. Isn’t that nice to be able to do what you enjoy? I love this recipe. 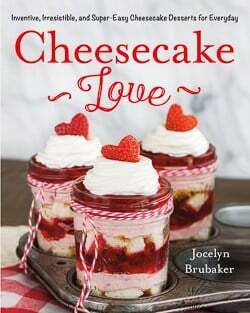 It is the perfect size and just the right amount of cheesecake (for me). I’m not a real cheesecake lover. I can’t wait to make this! Thanks for sharing. I’d love it if you would share this at What’d You Do This Weekend tomorrow. 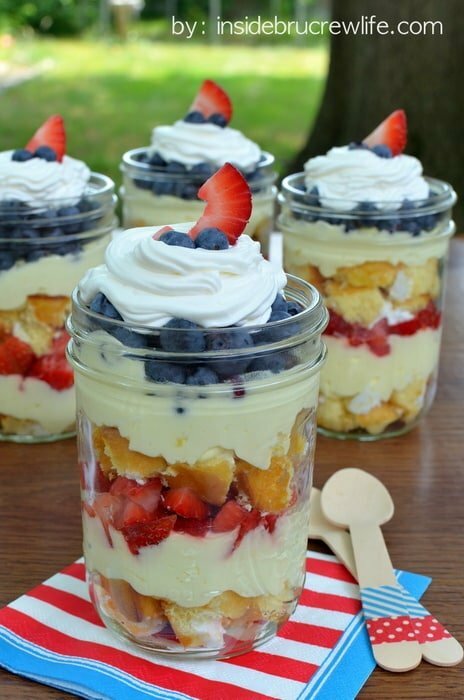 I love everything about this dessert!! Good news is, this pie looks amazing. Nothing but success here. I had no idea they made canned caramel apple pie filling! Right there, is everything I have ever wanted in a tart! Caramel, apple, nuts – heaven on a plate! Pinned! 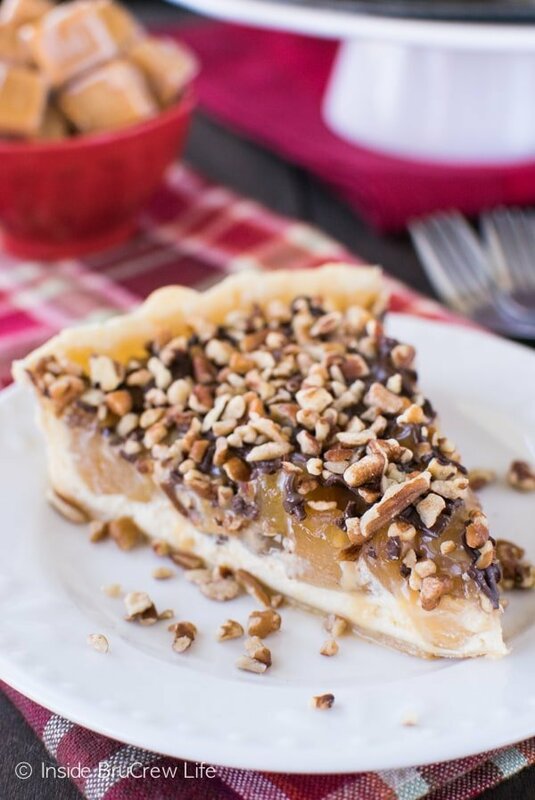 I might have to switch up my Thanksgiving dessert menu, this tart looks incredible! Jocelyn, this would be a super contribution to Food on Friday: Victorian or Afternoon Tea Party over at Carole’s Chatter. Cheers and Happy Thanksgiving to all Americans everywhere!